Original children's books about motorsports and car culture. Download a FREE digital version of Nicky Is Stanced-Out right now! YES! Send me my free download! So we know where to send your download link! Thank you! Look for an email with your download link. You can close this popup box now. This unique series of bedtime-story picture books features stories directly from the worlds of motorsports, car clubs, weekend mechanics, and car enthusiasts. If you consider yourself one of those people, your kids need these books, so you can start to pass on your hobby to them at an early age! We want to tell authentic stories ripped from the lives of auto enthusiasts of all walks, that spur your own stories of rides loved and lost, that give you something special to talk about with your kids. So you can tell them the story about your first car, about your day at the race track, about your engine build. Make talking about cars - real cars, real mechanical terms, real racing concepts - a normal part of your kid's day. Inspire their curiosity! Grab the digital download free! Check it out for yourself, read it to your kid tonight on your iPad. Hey, it's 2018, your kid probably has their own! If they like it and want to read it again, you can come back and order a hardcover copy. Every copy that's ordered makes a donation to our featured charity, so you're helping kids who need your help at the same time! Order the print or digital edition today! The second book in the series here! 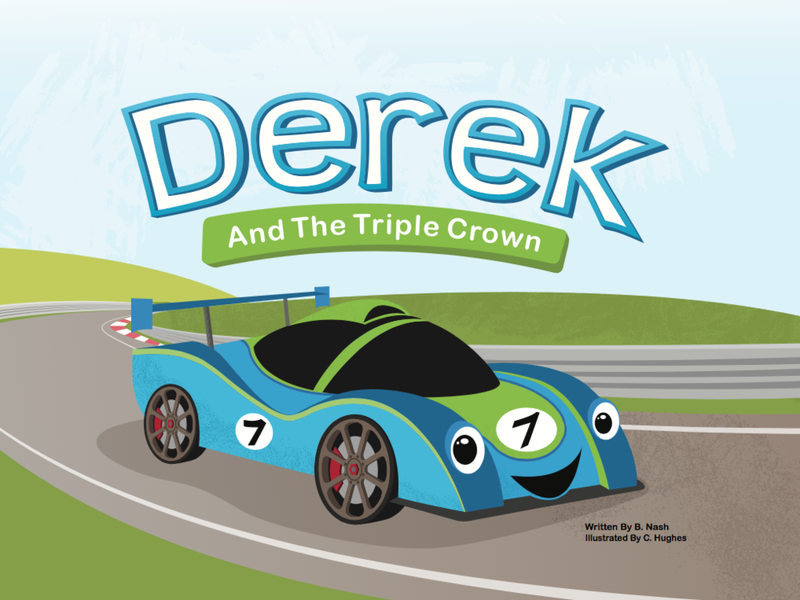 The story of Derek the endurance racer teaches kids about Le Mans-style racing and about determination. Hardcover and Kindle editions are available - order your signed copy today! Every copy sold includes a donation to our featured charity. Build your series starting from here! Order a signed hardback copy of the first edition. Every copy sold includes a donation to our featured charity. Get your hardcover edition, with extra good karma! Order your signed hardcover copy of Nicky Is Stanced-Out along with sticker sheets featuring the lovable characters from the story, and we'll triple the donation we make to charity with your purchase. That's right, triple the donation! Help us help more kids! TunersCare.com makes a charitable donation as part of each order, but no part of the purchase price is tax-deductible by the customer.